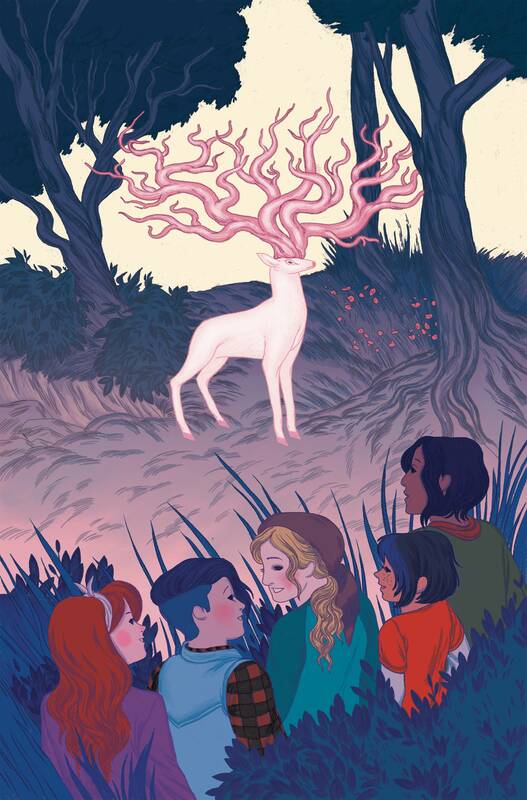 What's to Love: Not only does this oversized one-shot feature a whopping 40 pages of brand-new, original, Lumberjanes stories, but we welcome two of our favorite creators to the campground: writers Jen Wang (In Real Life, 2017's The Prince and the Dressmaker) and Kelly Thompson (Jem and the Holograms), and artists Christine Norrie (Hopeless Savages) and Savanna Ganucheau (Fresh Romance)! What It Is: Jen takes the girls on a nature walk to show them which plants are edible in case they need to survive in the wilderness. Along the way, she tells them the story about an axe murderer who took his friends out, one by one until no one was left, thoroughly scaring Mal. Terrified and unable to sleep, Mal thinks she sees something lurking outside. Is it...THE AXE MURDERER?!? !